The first podcast, or rather audio blog post, OpenSource by Christopher Lydon in 2003 started an evolution that is only just reaching its culmination now. It was a simple RSS feed of Audio Files which looked to disseminate information, start a conversation away from the media powers and erase the limitations of radio. It was another step in the move to democratize communication. 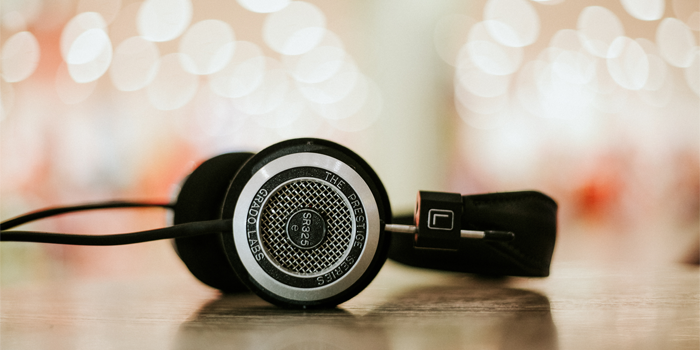 Since that initial audio blog, there have been a number of developments in the industry and in the proliferation of podcasts that have enabled the podcast market to grow to the massive library that it now represents. Apple and Steve Jobs can take a lot of the credit for this, having taken the step to offer more than 3,000 free podcasts on iTunes as early as 2005. In 2014, they also launched their own standalone podcast app which was both an indication of the growing popularity and a further push for the medium. Secondly, smartphones have been integral to the growth in allowing people to download the audio files on the go. As the power and memory of the devices in our pockets have grown so has the audience for podcasts. In conjunction with this, we have seen the quality of the equipment used in podcasting improve meaning that we are no longer dealing with grainy noise quality and instead enjoy an exceptional listener experience which is more than comparable to radio or television. Finally, this growth in reach and accessibility drew people to the industry and has led to the vast array of podcasts that are now available. Podcasts have now become a mainstream medium. Massive success stories like Serial have challenged TV, Music and Movies for attention. There are podcasts relating to all manner of topics and produced by all manner of people from celebrities, to critics, to politicians and of course independent podcasters. These have led to a growing monetisation of podcasts with Ad revenue expected to top $220 million by the end of 2017. Of course, this could bring issues with excessive advertising and barriers to entry for independent creators but it is certainly and primarily an indication of the size of the market and the potential for podcasts. Brought to life by Serial and continued by many others. These podcasts follow the lines of TV shows and have serialised episodes around a main plot/theme. Serial has to take a lot of the credit for making podcasts mainstream. This format is increasingly growing. Podcasters talk through a topic from end to beginning providing valuable information and insight in one episode collected from a variety of sources to tell a full story. One person talking about a topic and engaging with the feedback of their audience on these topics can be enough for success in podcasting provided the quality and content is high enough. These are perhaps the most popular and the most relevant for brand building and engagement with customers and target audiences. In the era of content marketing and with a focus on providing value to your customers, podcasts provide a perfect medium for you or your company to host a conversation about the topics that interest your audience and which you address or about which you have knowledge. 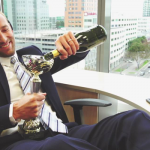 These can be as irreverent and varied as the now infamous JRE (Joe Rogan Experience) or focused on specific areas like the fantastic Capital B by Maximum Media. 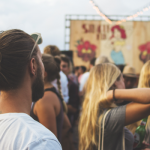 If you can demonstrate authority over a topic in which your audience is interested and converse with knowledgeable and respected guests or experts then you can quickly build a loyal following. According to Edison Research, 24% of internet users listened to a podcast in the last month. Edison Research also reports more than one out of five listeners listen to three to five hours of podcasts per week. Bridge Ratings has called 2017 the breakout year for podcasting, reporting that 45% of light podcast listeners turn into weekly listeners year over year. A report from the Pew Research Center stated that the number of podcast download requests through commercial podcast hosting company Libsyn grew from 1.6 billion in 2012 to 3.3 billion in 2015. This penetration and growth only bodes well for podcasting as a medium through which you should be pushing your marketing. Additionally, while you will still need to stand out to be heard amongst the noise, there are fewer podcasts out there than blogs so the competition is lower and the ability to be original is increased. Engagement is much higher than other mediums with listeners regularly listening to full podcasts. It is a well-established fact that we are increasingly suffering from information overload and that our attention levels are decreasing. Podcasts are unique in that they are regularly listened to in their entirety. This affords you unrivaled intimate access to your audience over an extended period. Part of this high engagement is due to the fact they are the perfect mobile companion. Podcasts are more passive than other mediums meaning they enable their audience to consume them with greater ease. They have become the to go to option for many commuters whether that is listening to them via the car stereo or on public transport. Equally, you can consume podcasts while doing other tasks and in our time-poor lives, this is a key strength of the medium. Finally, your listeners can immediately become fans and brand advocates. People subscribe to their favourite podcasts and develop brand loyalty quickly. A Midroll study found that 88% of listeners consume the majority or all the episodes once subscribed. Due to the value-driven/ quality nature of podcasts, your listeners can quickly become your advocates as they suggest your podcast and you to their network. All of this is supported by the fact that compared to other forms of marketing they are cheap and extremely cost-effective. 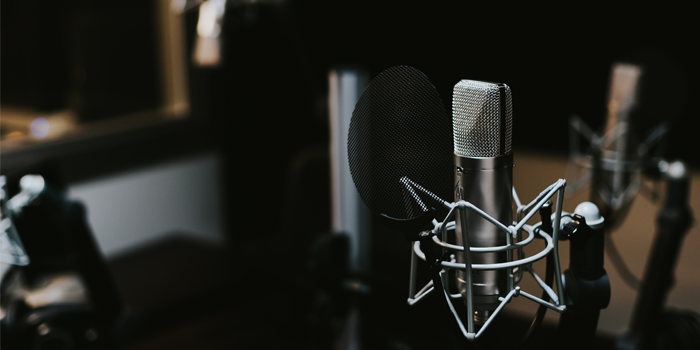 Recruitment has been somewhat slow to integrate podcasting as an industry, however, there is certainly room for it to flourish. Employer brand is an area of growing concern to companies as they work to build a brand that appeals to potential employees as opposed to the traditional product/company brand for customers/clients. 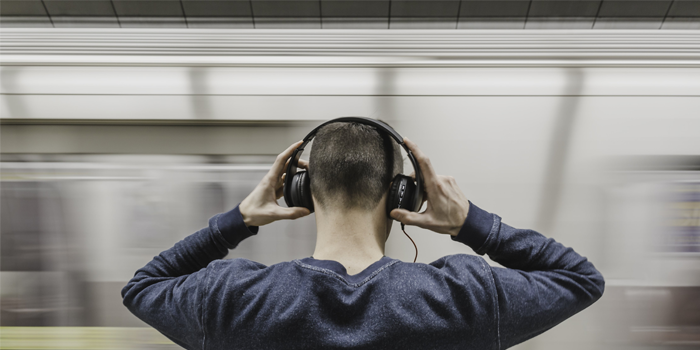 Companies can build their employer brand by creating and delivering high-quality content via podcasts that will appeal to those people who they want in their organisation and in the process, refine their culture and ideals. When looking at the podcasting types we can say that companies can look at creating storytelling podcasts directed at potential employees covering the challenges they have faced as a company, their successes, the personal stories of some of their staff and a variety of other stories. Secondly, companies can look to conduct roundtables and establish themselves as experts in their field. By talking about their industry and market they will be providing value for potential employees and their community and additionally, establishing themselves as a subject matter expert in the area and thus make themselves an attractive prospect for potential employees. In terms of direct recruitment there are also options. We are increasingly looking for ways to make job specs stand out and attract the best candidates in increasingly competitive markets. Candidates complain that job specs rarely give enough information and can often be too impersonal. In this, podcasting can offer a great alternative or support. They can enable organisations to more comprehensively discuss their hiring needs, roles, future and ideal candidates and thus candidates can get a more intimate and complete idea of the role and the company before applying. It was this idea that pushed us in Verify to create New Job Radio. Here at Verify, we were an early adopter of podcasting for Recruitment and Employer Branding and established New Job Radio (NJR) in 2012. 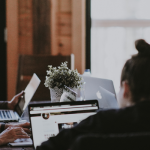 Working with some of the new and innovative tech companies in Dublin, we looked to provide a medium for Founders, CEOs, CTOs and Hiring Managers to discuss the roles that they are hiring for beyond writing a job spec. We have worked with over 40 companies building their brand and helping them differentiate their offering and roles from the competition for potential employees. It is a chance for these decision makers to sell their companies and roles and for potential candidates to hear what the role will really entail and what exactly the company are looking for in applicants. We have looked to interview the key figures in organisations who will be able to provide insight into the needs for hiring, the role and responsibilities, the culture and environment and what the ideal candidate might look like and aspire to be. This gives candidates a more rounded view of an organisation and a role and can offer more than a job spec in attracting passive candidates to explore a role further or apply for a position. Podcasting clearly has grown to a great extent. However, we believe there is more potential for the medium and in particular when it comes to building an employer brand and driving recruitment in increasingly competitive markets. 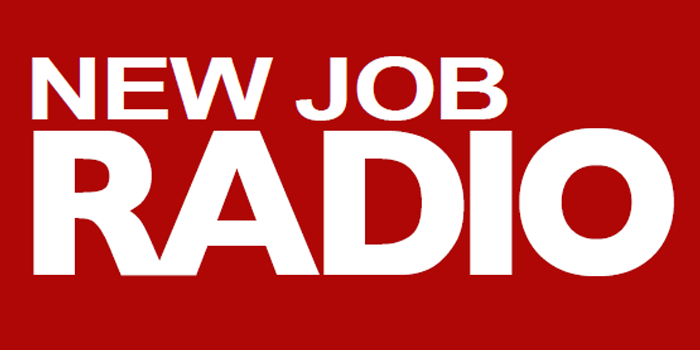 We are always eager to work with companies on New Job Radio and leverage our expertise which we have developed in order to aid their engagement with candidates and grow their employer brand. The team in Verify both listen to and create podcast aside from New Job Radio with our own Breffni O’Sullivan producing/hosting The Intercontinental Breakfast, A weekly professional wrestling/comedy programme running down the week’s news, rumours, and show reviews. Let us know your favourite podcasts or if there are any podcasts to which we should be listening. This entry was tagged Community, education, Employer Branding, Podcast, Podcasting, recruiter advice, Recruiting, recruitment consultant, technology recruitment, Verify Recruitment. Bookmark the permalink. ← Why Do Recruitment Consultants Withhold Client Company Identities?